Providing you the best range of refrigerant gas with effective & timely delivery. We are a dealer for various kinds of Refrigerant Gases, which are used in cooling systems and refrigeration systems for cooling applications. Clients use our range for using it in both domestic as well as commercial applications. These are available in various packaging sizes to suit the specific requirements of the clients. 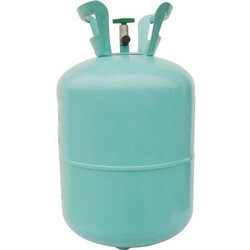 These are specifically used as refrigerant gas cylinders for refrigeration and cooling systems. Looking for Refrigerant Gas ?